Work Hours Show time at 06.00 pm, 07.30 pm and 09.00 pm. Tiffany's Show Pattaya is the Original Transvestite Cabaret Show in Pattaya, Thailand; and is now in its 40th year. 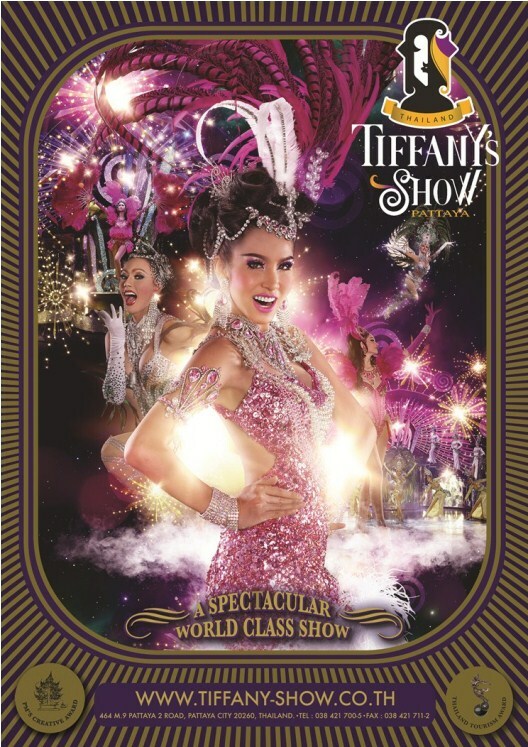 Originating as a one-man show performed for friends on New Year' Eve in 1974, Tiffany's Show Pattaya is a household name in Thailand and Asia as well as around the world. From its inception, Tiffany's Show Pattaya has grown into A Spectacular World Class Show visited by audiences from all corners of the world. Tiffany's Show Pattaya was voted number 4 in the TOP TEN BEST SHOWS to see around the world."